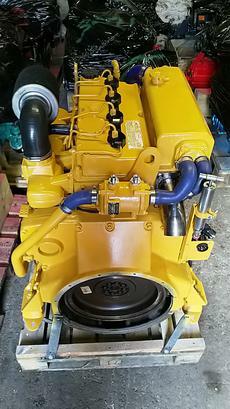 JCB Mermaid J444 84hp Four Cylinder Naturally Aspirated Heat Exchanger Cooled Bobtail Marine Diesel Engine. 2013 Model Year with 5200hrs running time. 4.4L and producing 84hp at 2200rpm these engines produce a lot of torque so are brilliantly suited to workboat and commercial applications. Replaced as part of a 5 year rolling replacement program. Fitted with 12V electrics but also has a second alternator which is 24v and a fully enclosed belt guard covering all the frontal moving parts. A new mermaid deluxe control panel and extension harness can be provided for an additional £490 + VAT if required. 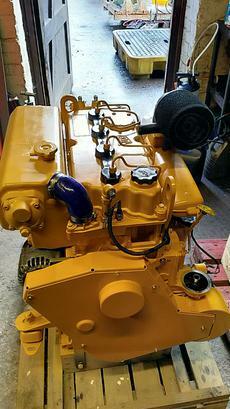 The engine has been test run and serviced, ready for use.